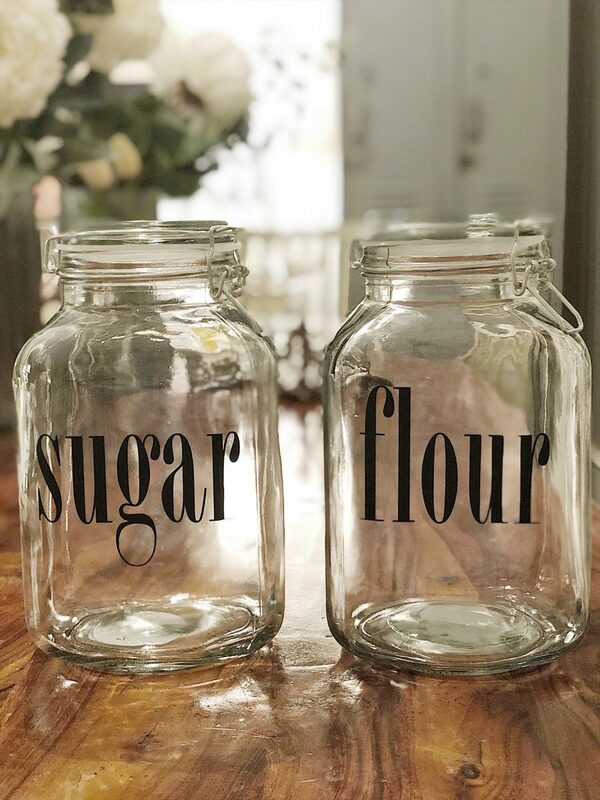 I used my silhouette machine to make the labels and these awesome glass ring top jars. I love that the jars were all less than $6.00. 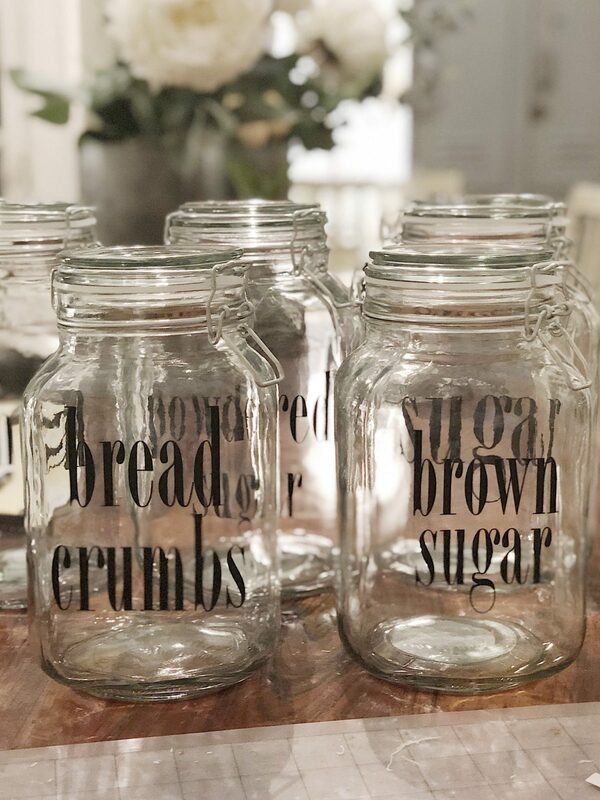 You can find the glass jars here from World Market. I used three different sized jars and have a few extra ones stored away when the need shall arise. 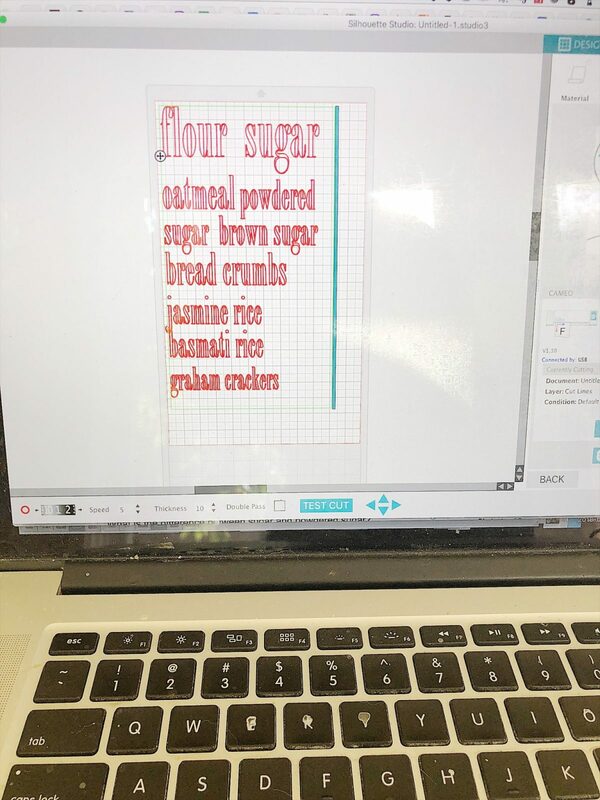 I already have a list of three more that I need to make for cocoa, granola, and arborio rice. I measured each jar and determined the label size. Then I made the labels based on which jar size I needed. The largest labels and canisters were used for flour, sugar, powdered sugar, and oats. The font I used is Bordeaux Roman Bold. But what if you don’t own a Silhouette machine? Well, you can buy very similar labels on Etsy. 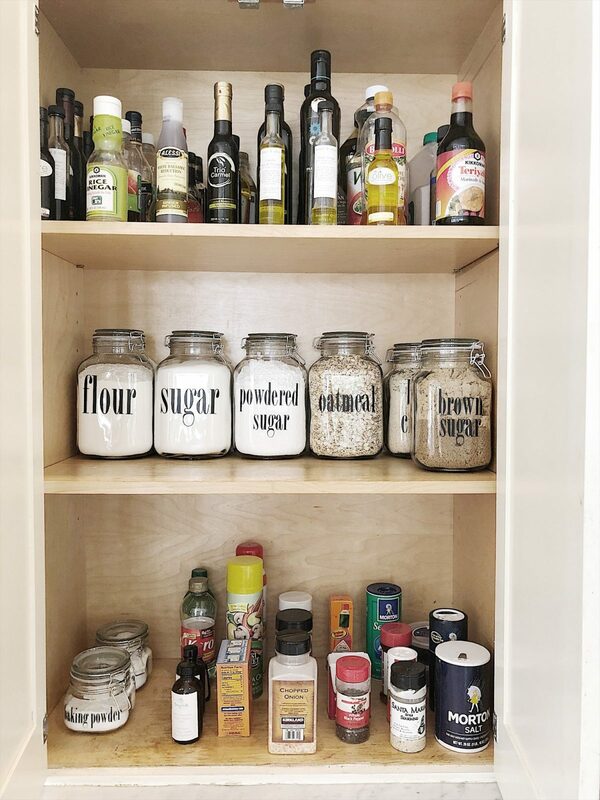 Order the labels you need and apply them to the canisters. It’s that easy. To purchase the labels, try here or here or here. You can also find more labels here and here. 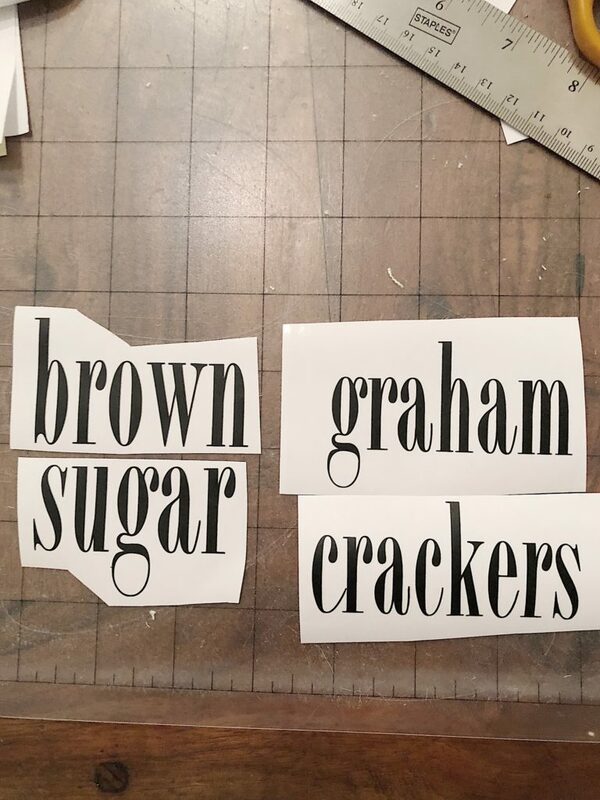 If you do own a Silhouette machine, here are the labels I created. I printed the labels on vinyl and then used my weeding tool to remove the excess vinyl. Here is how the labels looked after the weeding. 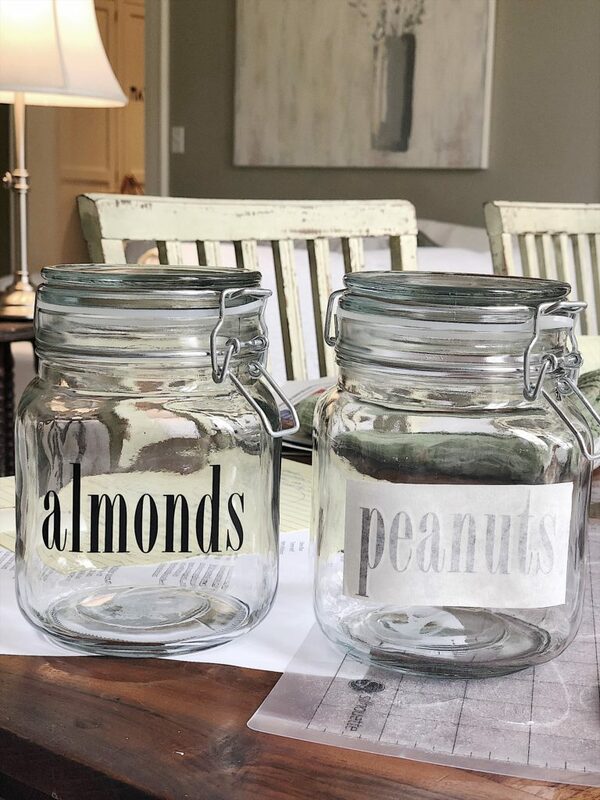 It would be very difficult to peel off the vinyl stickers and align them up to attach to the jars. 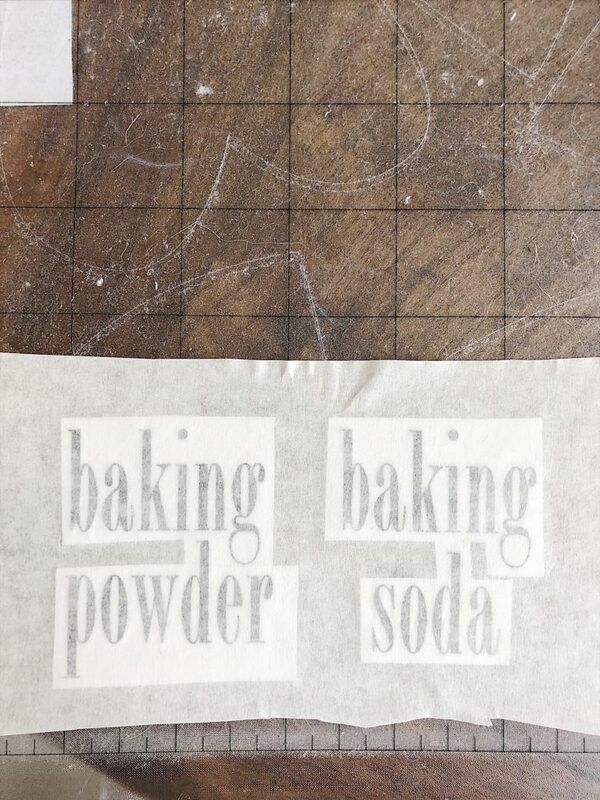 So use a piece of transfer paper to adhere the vinyl labels on the right side of the label. The photograph below shows how to do this. 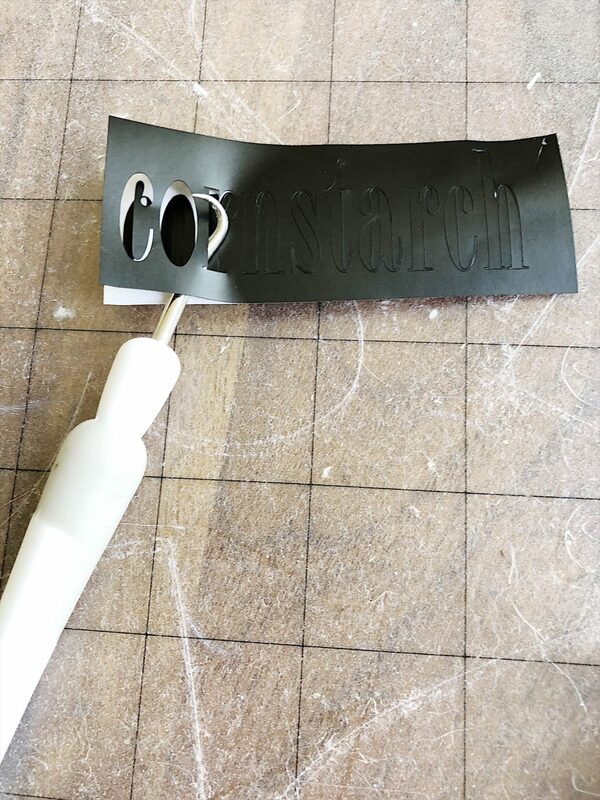 Rub the transfer to the vinyl letters and then carefully pull off the backing attached to the vinyl. 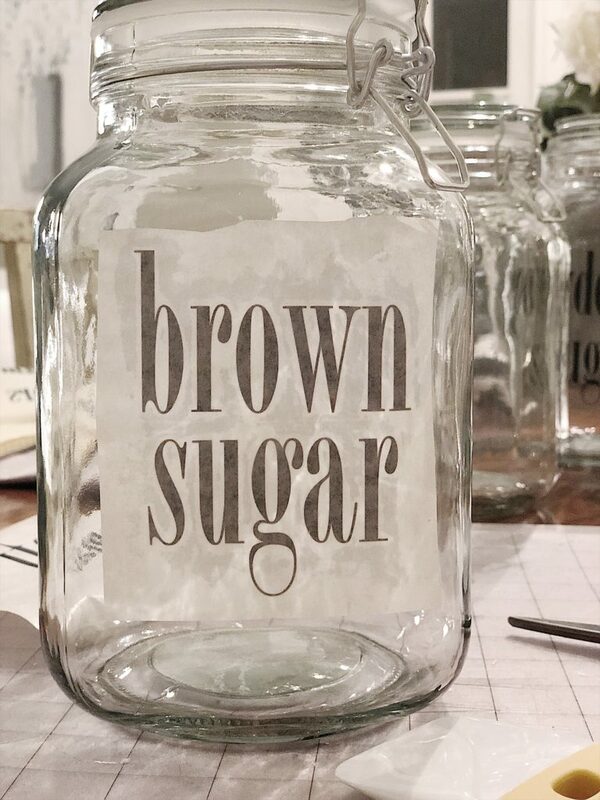 Now you have a sticky surface, with your vinyl label attached that can easily be adhered to the glass jars. Rub the labels with a plastic card to adhere the label. Then carefully peel off the transfer paper. Then you are done! I just love how the canisters turned out. Just be sure to clean them carefully by hand to protect the labels. And this is how they look in my pantry! What a huge difference. I make these labels if you need some! Beautiful! 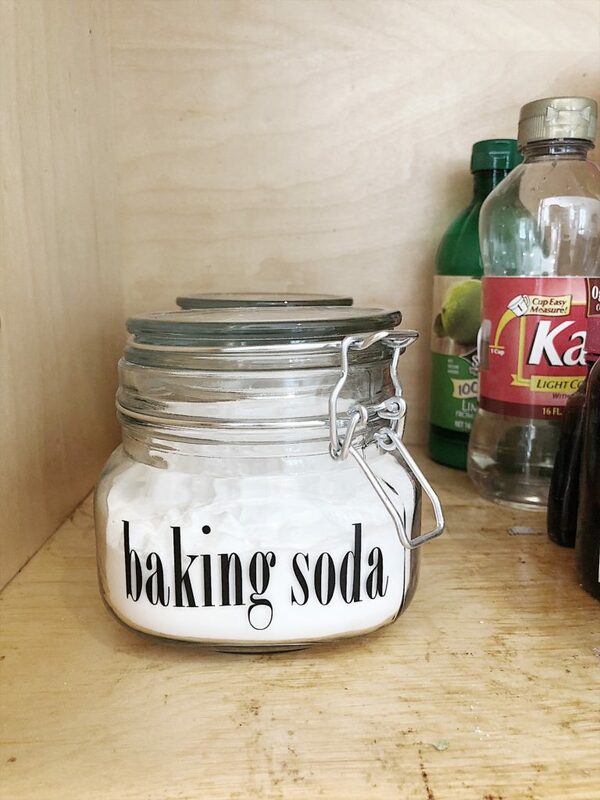 I use extra large canning jars with round chalk sticky labels on the lids. They are in pull out drawers so I can see the tops easily. You have a huge pantry! I LOVE this idea! I got a Silhouette for Christmas, but I’m to afraid to take it out of the box. ???? I’ve been doing some reading up first…. What kind of transfer paper did you use? 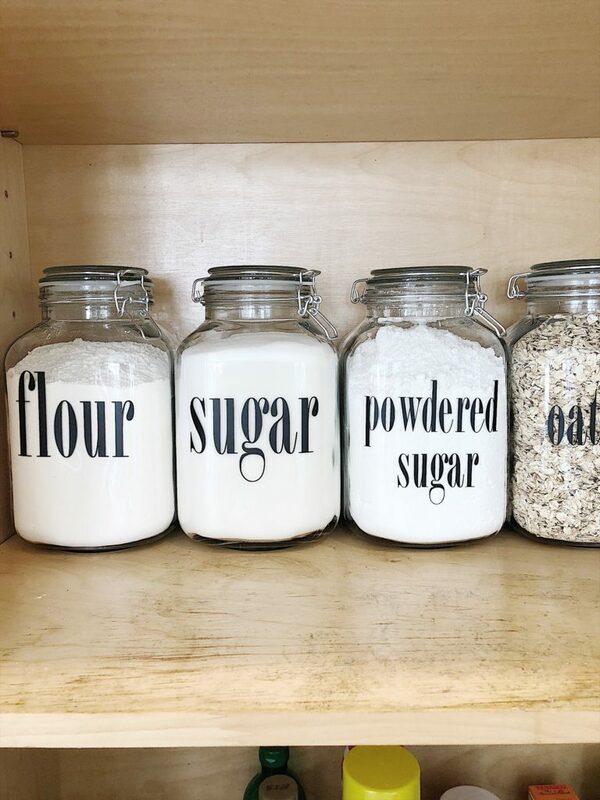 What size jar did you use for the Flour? And is the mouth big enough to get a measuring cup into the jar?